The Strawberry Tree 100/10048 is a busy mural print consisting of a concoction of muted green tones, pinks, reds and beiges. This busy wallpaper design would suit a number of interior design spaces whether you are looking to decorate your home or commercial space. 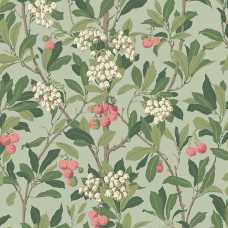 The small white flowers and muted red/pink strawberry details are incredibly eye-catching against the green background and green/ brown leaves and branches. 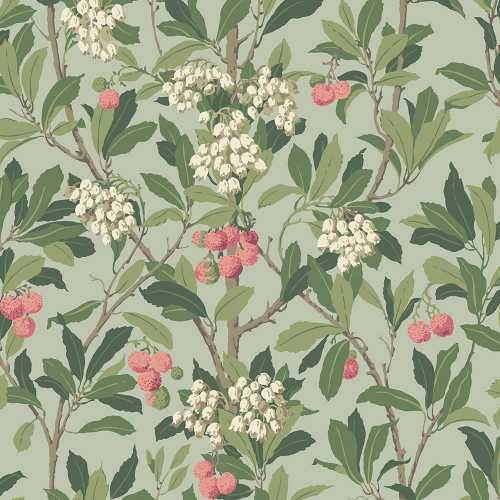 The 100/10048 is the greenest of the three Strawberry Tree colourways. This fun and timeless design measures at 52cm width by 10 meters length and has a repeat of 53cm. 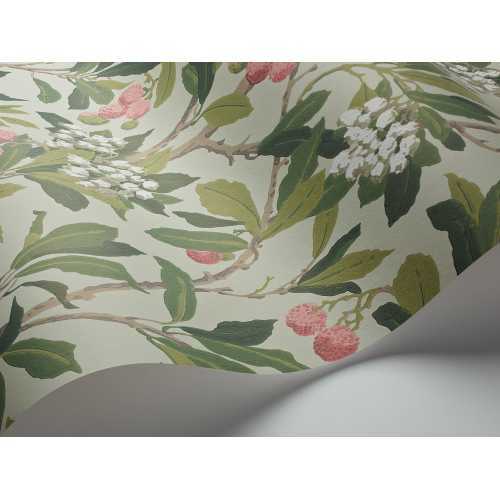 The archive anthology Strawberry Tree is stunning block printed design from the Jeffrey & Co. archives reproduced at Cole and Son as a classic surface printed wallpaper. Available in three rich colour-ways of pink and khaki, scarlet and green and pink and linen, this wonderful traditional print blends an arts and crafts ancestry with a classical twist to produce a truly grand wallpaper.